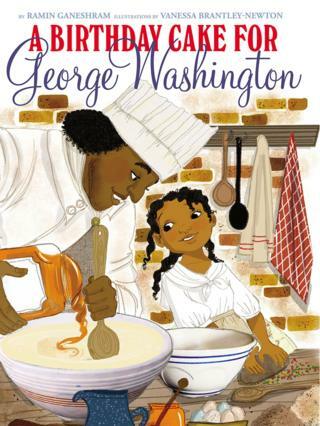 A children's picture book about George Washington and his slaves has been pulled by publishers Scholastic. A Birthday Cake for George Washington tells the story of Washington's slave Hercules, a cook, and his daughter. It had been criticised for its images of smiling slaves, and described as being "highly problematic". Scholastic said in a statement that without more historical context, the book "may give a false impression of the reality of the lives of slaves". The book, telling the story of Hercules and Delia making a cake together, had been released on 5 January. It was met with a barrage of one-star reviews on Amazon, with readers describing it as "disgustingly inaccurate", and one writing: "I can't believe people are celebrating a children's story that depicts happy, joyful slaves." Scholastic's description of the story had read: "Everyone is buzzing about the president's birthday! Especially George Washington's servants, who scurry around the kitchen preparing to make this the best celebration ever. "Oh, how George Washington loves his cake! And, oh, how he depends on Hercules, his head chef, to make it for him. Hercules, a slave, takes great pride in baking the president's cake." Author Ramin Ganeshram and illustrator Vanessa Brantley-Newton had written about the historical context in notes accompanying the story, but were criticised for not having included it in the main narrative. Trade journal Kirkus said children could be left with a "sorely incomplete understanding of both the protagonists' lives and slavery itself" if adults did not read them the additional material. Scholastic said in the statement: "While we have great respect for the integrity and scholarship of the author, illustrator, and editor, we believe that, without more historical background on the evils of slavery than this book for younger children can provide, the book may give a false impression of the reality of the lives of slaves and therefore should be withdrawn." They added that they "do not believe this title meets the standards of appropriate presentation of information to younger children, despite the positive intentions and beliefs of the author, editor, and illustrator." Ganeshram wrote in a blog post that she had undertaken four years of research and "thought long and hard about each word and depiction". "How could they be proud to bake a cake for George Washington? The answers to those questions are complex because human nature is complex. "Bizarrely and yes, disturbingly, there were some enslaved people who had a better quality of life than others and 'close' relationships with those who enslaved them. But they were smart enough to use those 'advantages' to improve their lives." Editor Andrea Davis Pinkney said in her own blog post on the subject that while "the topic of slavery is one that must be handled with the utmost care", the book "presents an important slice of American history". She wrote: "A Birthday Cake for George Washington does not take slavery's horror for granted. "On several occasions, the book comments on slavery, acknowledges it, and offers children and adults who will be sharing the book 'a way in' as they speak to these issues."